We keep hearing a lot of little tidbits about upcoming games coming to the iPhone. Unfortunately details tend to lag. Here’s a list of the most recent announcements. 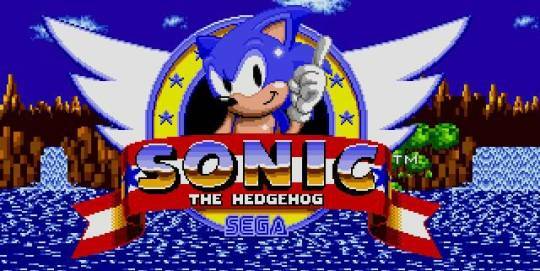 Sonic the Hedgehog – According to a January press release dug up by one of our forum members, SEGA will be bringing Sonic the Hedgehog to the iPhone. “We are absolutely delighted to work with Apple to bring SEGA’s timeless classic, Sonic The Hedgehog to the iPhone," states Simon Jeffery, President of SEGA of America. “The great reception and success of Super Monkey Ball has demonstrated that the iPhone is a viable gaming console with immense potential. iPhone gamers can expect great products from SEGA and what better way to start the New Year than with Sonic The Hedgehog on the iPhone." We can’t find much else about this announcement anywhere else. Still, SEGA did port Sonic to the iPod so an iPhone conversion seems likely. You’ll be able to view the action over Leon’s shoulder as he attempts to break through the zombie infested airport, aiming by sliding your finger around the screen and moving with a virtual D-pad. No other details except that we should see the game coming this spring. Metal Gear Solid Touch – Konami announced on their official site that Metal Gear Solid Touch will arrive for the iPhone on March 19th. In Metal Gear Solid Touch, players can move a targeting sight and also switch to a sniper scope by manipulating the touch panel screen with their fingers. The game utilizes intuitive controls, making it easily enjoyable for anyone. There are 12 stages available at the start of the distribution and the locations and featured characters for each stage are based on the story of Metal Gear Solid 4: Guns of the Patriots. Assassin’s Creed – Gaming magazine Famitsu revealed that Assassin’s Creed will be heading to the iPhone from Gameloft. Assassin’s Creed, set for release in April or beyond through Gameloft, promises the same basic experience as the 360 and PS3 versions, with Altair moving about cities, castles and ruins. The stages will offer the same sense of elevation as was found in the high end versions. Of course, the action is controlled via an on-screen virtual pad. Assassin’s Creed was a very well received sandbox-style action adventure that was originally released in November 2007.